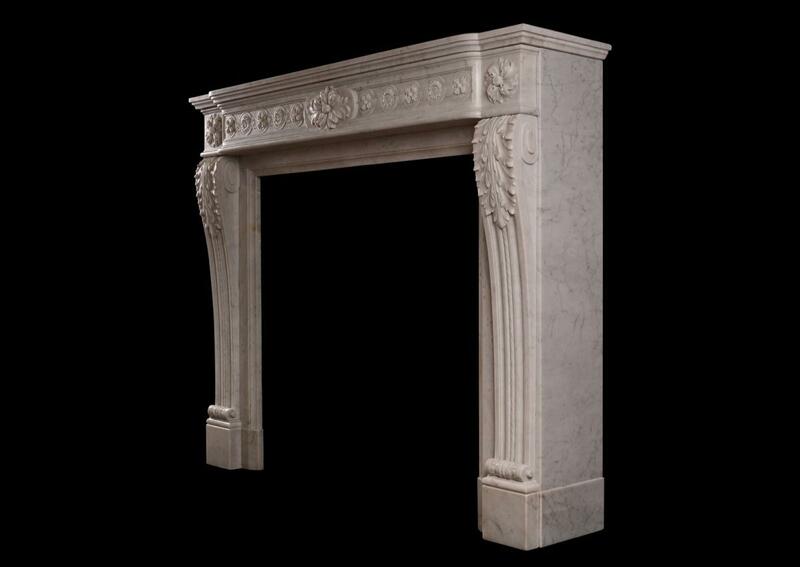 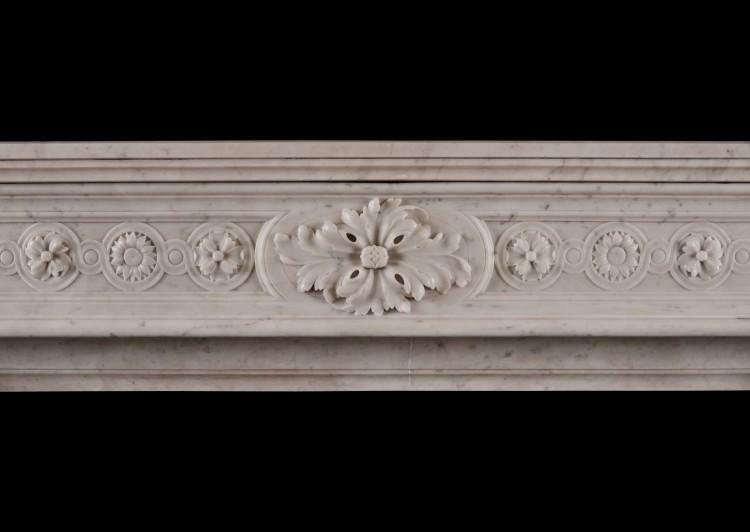 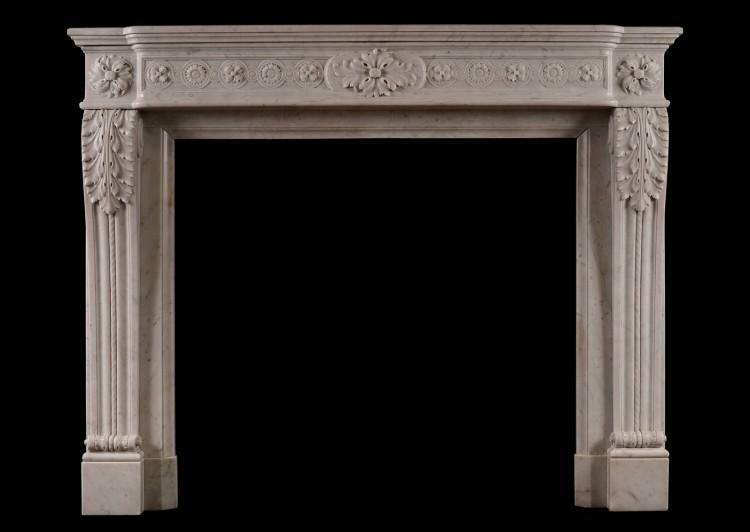 An unusually high mid 19th century French Louis XVI style fireplace in Carrara marble. 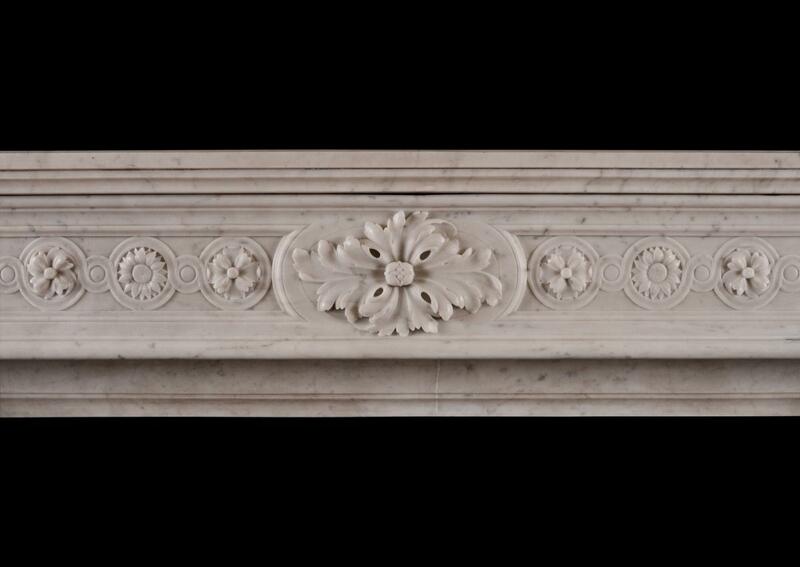 The delicately carved shaped frieze with floral guilloche pattern, oval patera to centre and swirling end blockings. 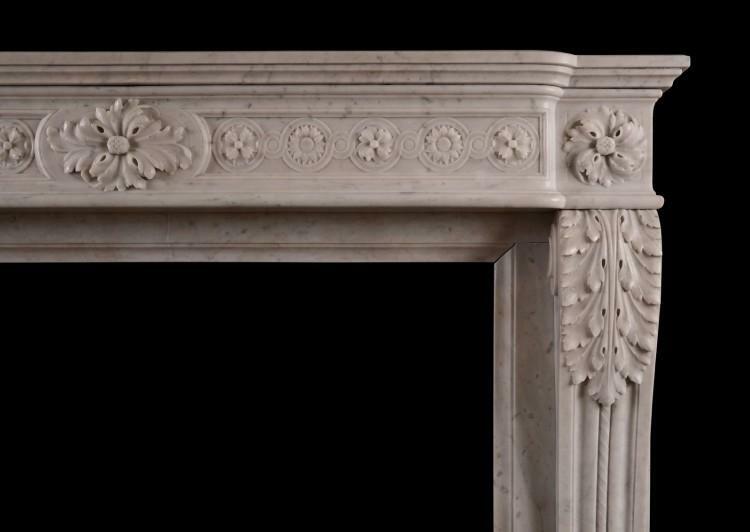 The jambs with carved scroll to base and central rope moulding surmounted by scrolled acanthus leaves.